Our next family film screening will be this Saturday, April 18 at 6:00 pm. We will be showing the hilarious stop-motion animated film, Pirates! 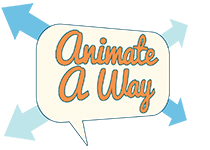 Make sure to be there on time to share in the community opportunities we will have available and to let your kids try their hand at their own animation with their friends. The Bayside Community Center is located at 2202 Comstock St., San Diego, CA 92111. We ask for a $5 donation at the door to help us fund the licensing of the film. This entry was posted in Animate A Way, Exhibitions, Workshops/Camps. Bookmark the permalink. ← Boxtrolls Tomorrow and So Much More! Amazon Smile - It's easy and helps! We believe strongly in transparency in non-profit administration. To view our financials and management, see our support page.